Posted by Scott on May 18, 2010 at 8 a.m. The entire crew of U-35 was taken to the Tower of London, arriving there on 03 December 1939. 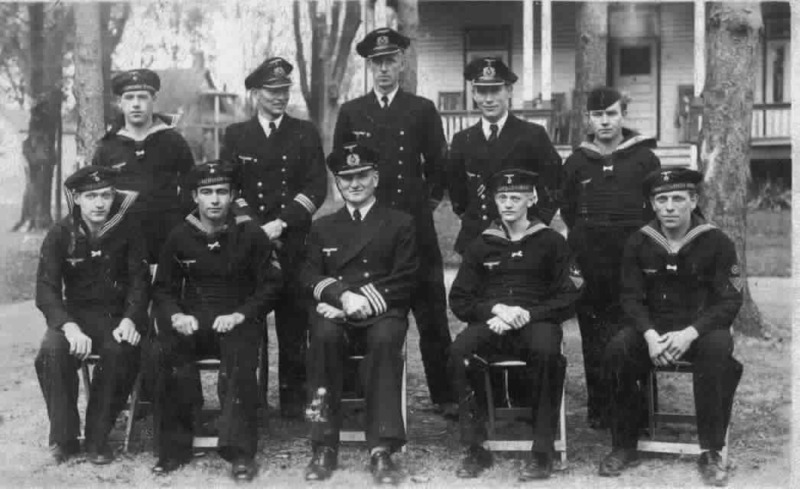 Placed immediately in his own, very cold cell, Werner Lott, commander of U-35, said he would go on a hunger strike until he was seen by an officer. On the second day, Werner Lott was visited by Captain Lord Louis Mountbatten, commander of the destroyer flotilla which had sunk U-35. Lord Mountbatten arranged for him to be seen by the military commandant and soon afterwards Werner Lott was moved to new quarters, where he accepted an offered meal, honour now satisfied. The Admiralty sent apologies, via Lord Mountbatten, for the way that Werner Lott had been treated and offered as recompense a 'splendid' meal - an invitation for Werner Lott to dine at Scott's Restaurant. Werner Lott accepted on the condition that his second-in-command, Heinz Erchen, could accompany him. The two Germans, under promise not to attempt to escape, were given parole for the evening. Dressed in civilian clothes, they were escorted across the drawbridge to a waiting Admiralty limousine. After a very convivial dinner with two British naval officers (one being Commander Halahan), whom both had known in Gibraltar in 1938, the Germans returned to the Tower. Mountbatten: I am afraid you don’t understand what is going to happen in this war; yet you should as you are a naval officer. In the 1914/18 war your army was victorious everywhere but the Royal Navy blockaded you to the point of starvation, surrender and revolution. In this war your army will unquestionably be victorious in Europe when they come to over- run France next year but you still have got to cross the sea to invade England. The Royal Navy and the Royal Air Force will prevent that. You will find the Germans confined to a conquered continent without having conquered the United Kingdom. Then in due course Hitler will make the same mistake that the Kaiser made which will involve the United States of America coming into the war on our side. When that happens it will be we who will invade the continent and defeat Hitler on land. That will be the end of the war with victory for us and defeat for you. I think therefore you had better start learning English and preparing yourself for the difficult times you will find in Germany after your release.